Match ends, Grimsby Town 1(3), Doncaster Rovers 1(4). Penalty Shootout ends, Grimsby Town 1(3), Doncaster Rovers 1(4). Penalty saved! Harry Cardwell (Grimsby Town) fails to capitalise on this great opportunity, right footed shot saved in the centre of the goal. Goal! Grimsby Town 1(3), Doncaster Rovers 1(4). 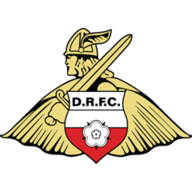 Rodney Kongolo (Doncaster Rovers) converts the penalty with a right footed shot to the top right corner. Goal! Grimsby Town 1(3), Doncaster Rovers 1(3). Craig Alcock (Doncaster Rovers) converts the penalty with a right footed shot to the bottom right corner. Penalty saved! 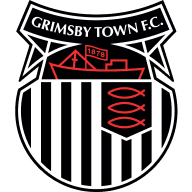 Tom Bolarinwa (Grimsby Town) fails to capitalise on this great opportunity, right footed shot saved in the bottom left corner. Penalty saved! Sam Jones (Grimsby Town) fails to capitalise on this great opportunity, right footed shot saved in the top centre of the goal. Penalty saved! Liam Mandeville (Doncaster Rovers) fails to capitalise on this great opportunity, right footed shot saved in the bottom left corner. Goal! Grimsby Town 1(3), Doncaster Rovers 1(2). Alfie Beestin (Doncaster Rovers) converts the penalty with a right footed shot to the top left corner. Goal! Grimsby Town 1(3), Doncaster Rovers 1(1). Zak Mills (Grimsby Town) converts the penalty with a right footed shot to the bottom right corner. Goal! Grimsby Town 1(2), Doncaster Rovers 1(1). JJ Hooper (Grimsby Town) converts the penalty with a right footed shot to the top right corner. Penalty missed! Still Grimsby Town 1(1), Doncaster Rovers 1(1). Andy Williams (Doncaster Rovers) hits the bar with a right footed shot. Goal! Grimsby Town 1(1), Doncaster Rovers 1(1). Harry Middleton (Doncaster Rovers) converts the penalty with a right footed shot to the bottom left corner. Goal! Grimsby Town 1(1), Doncaster Rovers 1. Ben Davies (Grimsby Town) converts the penalty with a right footed shot to the top right corner. Penalty Shootout begins Grimsby Town 1, Doncaster Rovers 1. Second Half ends, Grimsby Town 1, Doncaster Rovers 1. Attempt missed. Ben Davies (Grimsby Town) right footed shot from outside the box is too high. Ben Davies (Grimsby Town) wins a free kick on the left wing. Attempt blocked. Alfie Beestin (Doncaster Rovers) right footed shot from outside the box is blocked. Corner, Doncaster Rovers. Conceded by Zak Mills. Attempt saved. Tom Bolarinwa (Grimsby Town) right footed shot from the centre of the box is saved in the bottom right corner. Liam Mandeville (Doncaster Rovers) is shown the yellow card for a bad foul. Zak Mills (Grimsby Town) wins a free kick on the left wing. Foul by Liam Mandeville (Doncaster Rovers). William Longbottom (Doncaster Rovers) wins a free kick on the right wing. William Longbottom (Doncaster Rovers) wins a free kick in the defensive half. Attempt blocked. Sam Jones (Grimsby Town) left footed shot from outside the box is blocked. Ben Davies (Grimsby Town) wins a free kick in the attacking half. Attempt saved. Craig Alcock (Doncaster Rovers) header from the left side of the box is saved in the top centre of the goal. Corner, Doncaster Rovers. Conceded by Ben Davies. Substitution, Grimsby Town. Tom Bolarinwa replaces Harry Clifton. Attempt blocked. JJ Hooper (Grimsby Town) right footed shot from the left side of the box is blocked. Attempt blocked. Issam Ben Khemis (Doncaster Rovers) right footed shot from outside the box is blocked. Attempt saved. Sam Jones (Grimsby Town) left footed shot from outside the box is saved in the bottom left corner. Corner, Grimsby Town. Conceded by Tyler Garratt. Corner, Doncaster Rovers. Conceded by Danny Collins. Substitution, Grimsby Town. Nathan Clarke replaces Karleigh Osborne. Attempt missed. Rodney Kongolo (Doncaster Rovers) right footed shot from outside the box is close, but misses the top left corner. Ben Davies (Grimsby Town) is shown the yellow card for a bad foul. Alfie Beestin (Doncaster Rovers) wins a free kick in the defensive half. Corner, Grimsby Town. Conceded by Niall Mason. Attempt missed. Liam Mandeville (Doncaster Rovers) right footed shot from outside the box is just a bit too high. Substitution, Grimsby Town. JJ Hooper replaces Diallang Jaiyesimi. Attempt saved. Sam Jones (Grimsby Town) right footed shot from the right side of the box is saved in the bottom right corner. Attempt saved. Harry Cardwell (Grimsby Town) right footed shot from the left side of the box is saved in the top right corner. Attempt saved. Alfie Beestin (Doncaster Rovers) header from the left side of the box is saved in the centre of the goal. Attempt missed. Liam Mandeville (Doncaster Rovers) right footed shot from outside the box is too high. Attempt saved. Rodney Kongolo (Doncaster Rovers) right footed shot from outside the box is saved in the centre of the goal. Issam Ben Khemis (Doncaster Rovers) wins a free kick on the right wing. Corner, Grimsby Town. Conceded by Craig Alcock. Craig Alcock (Doncaster Rovers) wins a free kick in the attacking half. Attempt saved. Ben Davies (Grimsby Town) right footed shot from the left side of the box is saved in the centre of the goal. Corner, Grimsby Town. Conceded by Marko Marosi. Second Half begins Grimsby Town 1, Doncaster Rovers 1. Substitution, Doncaster Rovers. William Longbottom replaces Andy Butler. Substitution, Doncaster Rovers. Niall Mason replaces Joe Wright. First Half ends, Grimsby Town 1, Doncaster Rovers 1. Attempt blocked. Liam Mandeville (Doncaster Rovers) right footed shot from the left side of the box is blocked. Rodney Kongolo (Doncaster Rovers) wins a free kick in the defensive half. Sam Jones (Grimsby Town) wins a free kick on the left wing. Foul by Tyler Garratt (Doncaster Rovers). Goal! Grimsby Town 1, Doncaster Rovers 1. Andy Williams (Doncaster Rovers) right footed shot from outside the box to the top right corner. Assisted by Rodney Kongolo. Corner, Doncaster Rovers. Conceded by Harry Clifton. Goal! Grimsby Town 1, Doncaster Rovers 0. Harry Cardwell (Grimsby Town) left footed shot from very close range to the bottom left corner. Attempt blocked. Andy Williams (Doncaster Rovers) left footed shot from the centre of the box is blocked. Foul by Rodney Kongolo (Doncaster Rovers). Attempt saved. Harry Clifton (Grimsby Town) right footed shot from outside the box is saved in the top centre of the goal. Sam Jones (Grimsby Town) is shown the yellow card for a bad foul. Ben Davies (Grimsby Town) wins a free kick on the right wing. Harry Cardwell (Grimsby Town) wins a free kick on the right wing. Joe Wright (Doncaster Rovers) wins a free kick in the attacking half.